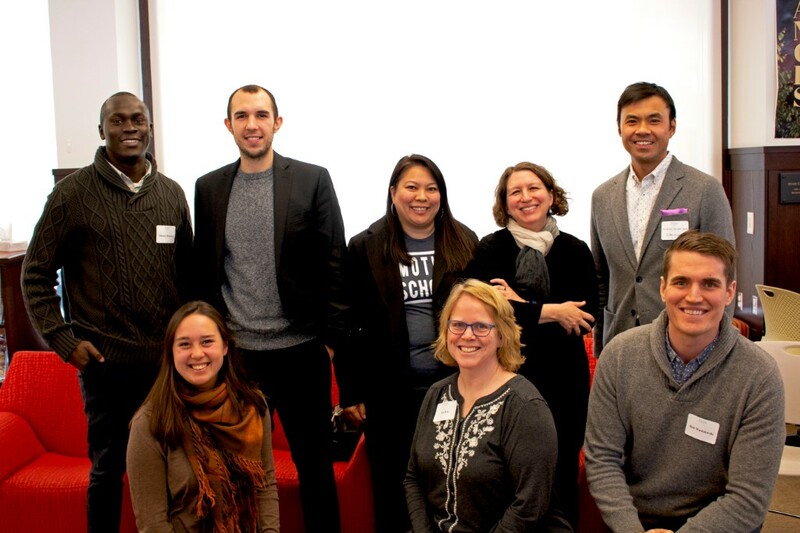 Since 2010, Fenn has hosted the annual Multicultural Educators' Forum (MEF) to provide our New England independent school colleagues a day-long opportunity to engage in conversation and reflection about fostering school communities that are diverse, inclusive, and just. By design, these forums are interactive and offer a variety of avenues for faculty, staff, and administrators to share their thoughts and questions about their work as multicultural educators. FOR DETAILS AND TO REGISTER FOR OUR 2019 MEF ON TUESDAY, FEBRUARY 19, CLICK HERE. Registration is now extended through Sunday, February 17. The MEF was formed as part of a Fenn diversity program outreach initiative and has become an opportunity for community building and networking with our area schools. The Fenn School believes that teachers interested in furthering multicultural education and competently engaging every student must be aware and skilled; they must be supported by not only our respective institutions but also by our peers in other schools. All educators have unique experiences to offer, and by sharing these experiences with each other in the spirit of learning, we promote schools that are more inclusive, fair, and just. Past keynote speakers for this conference have included John Hunter, Shujaa Graham, Kim Phuc, Rosetta Lee, and Sonia Nazario. Please email Director of Diversity, Jimmy Manyuru, or Assistant Director of Diversity, Liz Wei, for more information. Please Note: This event is not sponsored by AISNE.